The first thing I do is go "virtual scouting" a few days in advance. Typically, this means I have about 8 different tabs open in Google - searching for info about fishing in the area. I try to pick two or three fisheries that seem to stand out. From there, I try and get more specific with my searches. For rivers, I immediately go to Google Maps and look for areas with shoals, chutes, tributaries, or other interesting features. For lakes, I typically look try to find more specific information - depth, clarity, temperature, fish population survey info, number of citation fish caught there, tournament results, and anything else that might help. I also want to be sure to look for any other clubs or organizations having tournaments on the lake/river on the same day as my event. 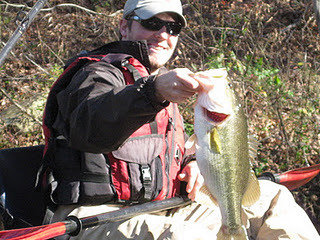 Having multiple tournaments on one lake can be brutal, especially if it is a river or small lake. It has burnt me before, so now I always check. At this point, I typically know where I want to fish and I have a plan A, B, and C. Having multiple plans is key, especially in river tournaments where weather can drastically change river conditions overnight. My next step could be one of a few things. 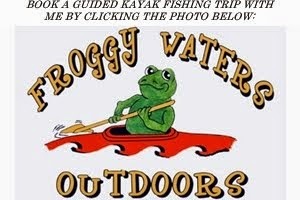 Sometimes I shoot an email to a local guide, club, or pro-staffer for any info he or she can give me. I never ask for specifics. I keep it very general and polite. I also look into old fishing reports. Typically, I try to to find ones posted within about 3 weeks on either side of the tournament date - so for this coming weekend, I was looking for reports from mid-September to mid-October all the way back to 2005. I use the reports mainly to try and pin-point what depth I should start fishing and potentially what areas are most and/or least productive. Typically, if I know the depth where they are hanging out, then I can quickly figure out how to catch them. I also might call a local tackle shop and get advice from them. If all goes well, I now know where I will fish, how I will break down the body of water, and what lures I will be fishing. Next is getting familiar with local data. What time is sunrise and sunset? What have the night time temperatures been lately? What is the weather forecast for the day of the event, as well as 2 days before and after? What does the barometric pressure look like? How windy will it be? These all helps give pieces of the puzzle. Then, it comes down to logistics. Where is the cheapest hotel that is both clean and safe? How long does it take to get from my hotel to the lake, then from the lake to the weigh-in? What time does the lake open? What fees do I need to pay in advance? Do I need to bring cash or do they take plastic? Do I need to hire a shuttle? Last, but not least, is personal prep. This means prepping my gear, packing the car, charging batteries, and that whole deal. For me, it also means making sure I have my cable locks. After all, you are going to leave your car/gear/yak in a random hotel parking lot overnight - you don't want anything to get jacked. Early morning's are meant for being outdoors! There have been tournaments where I have debated which plan was best until 1 or 2 AM, made a choice, and then got up 2 hours later to head out the door. Other times, I decided well in advance, gotten a great night's sleep, and hit the water feeling fresh. Unfortunately, no amount of planning ever assures a victory. Both the late night sessions looking over maps and the well thought out plans have worked - and failed - for me. But, I love the process and the challenge. No matter how this tournament goes, I will have given 100% of my efforts and will be more than content as we head back to NC. Although, hopefully the trip is a little louder than normal...you know, because we have the two extra kayaks on the roof that we just won. Thanks Kev. I will post up my tournament recap this afternoon. There is actually a bit of bizarre foreshadowing in this post.